July 15, 2013 January 27, 2015 / Julie Brook, Esq. Direct examination can look deceptively easy when all of the effort has gone into the preparation. 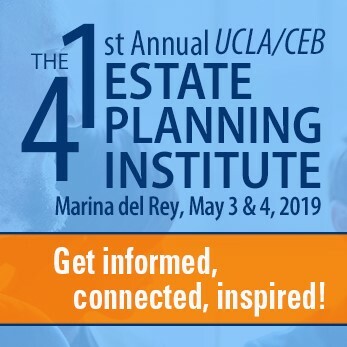 Here are some ways to make your carefully-planned direct even better. The witness will usually be nervous at the beginning of direct examination, so start with the easy stuff: questions about the witness’s background, undisputed facts, and simple facts. Use the witness’s background to paint his or her human qualities. Questions about family, work, and service experience are generally proper. But beware that some courts resent counsel overpersonalizing a witness. And, if background information amounts to swaggering self-promotion, the testimony may put the witness’s character at issue, permitting cross-examination about bad character traits. Evid C §1102. After the ice is broken, elicit narrative testimony from your witness. Then try to finish the direct examination with an emphatic denial or affirmation of a key issue. Ask open-ended questions, which may be answered by detailed narrative. In California state courts, examine while sitting down, or, with a shy witness, move to the end of the jury box away from the witness to help the witness make eye contact with the jury; in federal court, the attorney will usually be required to examine while standing at a fixed position. 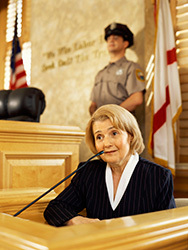 Minimize eye contact with the witness after the question is asked to encourage the witness to look at the jury, not you. Be subtle if you find that you have to help a foundering witness. Address the witness by his or her first name or nickname. Act overly solicitous or unctuous to a witness. For many more useful tips on conducting an effective direct examination, turn to CEB’s Effective Direct and Cross-Examination Book, chap 2.